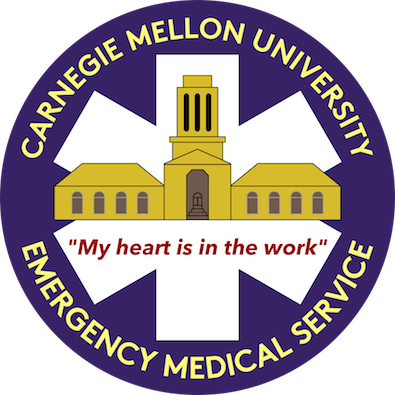 CMU EMS offers CPR and First Aid classes through the American Heart Association. The Heartsaver CPR course teaches CPR, AED use, relief of choking, and the use of barrier devices in adults and children. The Heartsaver First Aid class teaches bleeding control, use of epinephrine autoinjectors, and other First Aid skills. Participants receive a certification card after successfully completing a practical exam. These courses are perfect for anyone who wants to learn basic skills in emergencies that could potentially save a life. The BLS Provider class teaches much of the same material as Heartsaver CPR, but goes more in depth into cardiac arrest management. This certification is often required for healthcare providers such as nurses, EMTs, and Paramedics. To register, please email us at info@cmuems.org to discuss dates of the course for which you are interested. Upon registration, you will receive details for the class, including location. We may also be able to provide classes outside of our schedule and discounts for large groups. Please email us if you have a group of people interested in taking a class.